We are moving to a highrise end of this month.. super exited!! I get heated underground parking.. for all you Californians that take your winters for granted, a heated underground parking spot is PRICELESS here! 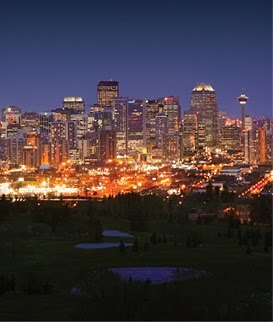 The photo is a view of downtown from our new living room.. and a photo of the building. Come visit.. we have a guest room! Dexter our Kitty Cat... Playing in the Grass Today. The lady loves of my life..
No way.. is it really that late?? View outside the bedroom window at 10:30 PM!!! Heres a little fact for you, The sun reaches its highest point in our great Alberta skies on June 21, lingering there to shift spring into summer. 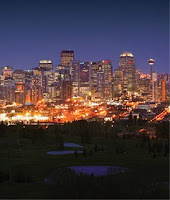 Calgary's longest day of the year stretches 16 hours and 34 seconds from sunrise to sunset. Cant wait for June 21st!!! !